"The best part of selecting Bridge Point Communication as my telephone & internet provider is the group of individuals who work for the company." "In this day and age good customer service seems to have gone away but not at your company. You are all to be commended and we cannot be more pleased that we made the switch." 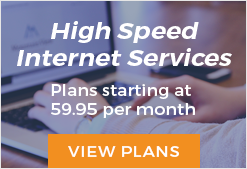 "I am truly pleased with Bridgepoint’s service and for once can say that am getting the connection speed that I am paying for." © Copyright 2017 | Bridge Point Communication | All Rights Reserved | Website by eVision Digital Marketing, LLC.